"Viszkis was one of the most famous bank robbers in Hungary. He drank whiskey before every robbing. This is his story." An official trailer has debuted for a film titled The Whiskey Robber, also known as The Whiskey Bandit or A Viszkis in Hungarian. This is the latest feature film from Hungarian-American filmmaker Nimród Antal, of Kontroll, Vacancy, Armored, and Predators in the past. The Whiskey Robber tells the true story of a Hungarian man named Attila Ambrus, also known as "Viszkis", who robbed 29 financial institutions in Budapest between 1993 and 1999. The only clue left behind at the crime scenes was the distinct aroma of whiskey. This looks like a fascinating, thrilling story of a man who just wanted to be happy and realized the only way to feel that was to collect money - mainly by robbing banks. Check this out. Attila Ambrus was a legendary Hungarian bank robber in the nineties. A Transylvanian, Ambrus grew up in Ceausescu's Romania and the hopeless situation there made him later flee over the border in search of a better future. But even as an adult, many of his childhood problems continued - only now in Hungary. Soon confronted with the fact that you only "matter" if you have money, Ambrus realised he needed money. A lot of money. He became the so called Whiskey Bandit .He never wanted to be a hero - the media turned him into one. His celebrity reached its peak when he escaped from prison. The whole country was rooting for him. Here was someone who was able to make a laughing stock of authorities. 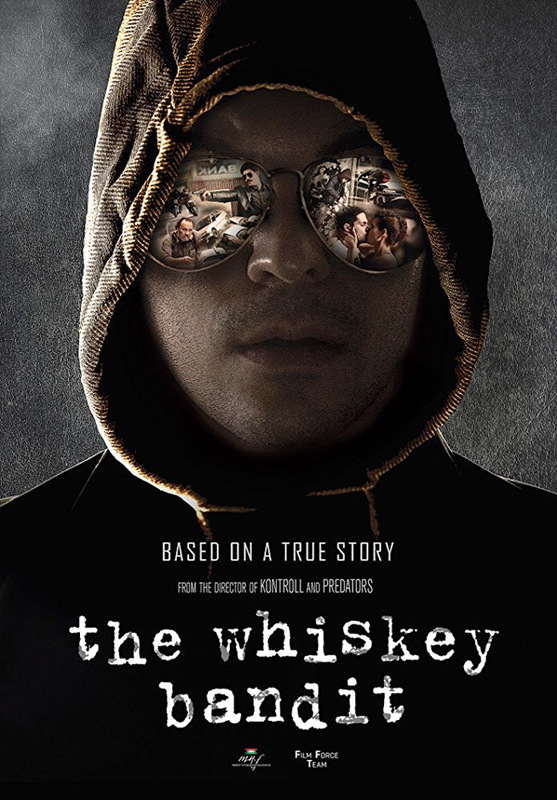 The Whiskey Robber, or A Viszkis in Hungarian, is written and directed by Hungarian-American filmmaker Nimród Antal, of the films Kontroll, Vacancy, Armored, Predators, and Metallica Through the Never previously. This first premiered at the Warsaw Film Festival this fall, and also played at the Chicago Film Festival. The film opens in Hungary in November, but does not have any US release date set yet. Stay tuned. Interested?